HATCH GUIDE FOR THE UPPER MIDWEST - Tight Lines Fly Fishing Co.
Angler, author, and photographer Ann Miller combines her passions in this must-have hatch book for anglers in the Midwest. 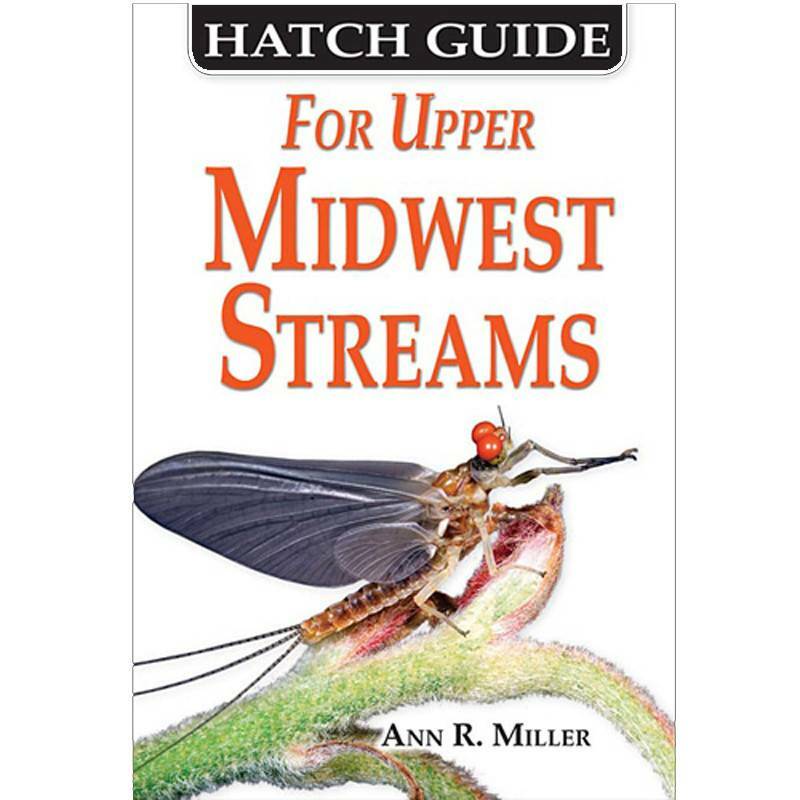 An aquatic biologist by trade, Miller documents with stunning photography the nymph and adult stages of insects commonly found in Midwestern streams, providing useful information on when and where each insect emerges. On the opposite page from each bug are photos of the flies that are typically used to imitate the insect, with detailed instructions on how to fish each pattern. Not to be outdone, she also provides recipes for each pattern found in the book. Keep this guide in your fishing vest as a handy reference for those sometimes tricky hatches. Paperback: 348 pages.